Now Hiring! Immediate Openings for energetic, part-time staff looking to make a difference in the lives of kids. Youth Development Coordinators work directly with our kids each day to mentor them and facilitate fun and educational programs. Apply today, all positions must be filled ASAP! HOURS: After-school Monday-Friday from dismissal until 6pm. 8-hour days on school break periods and during the summer. Responsible for executing hands-on programs with youth focused on achieving 3 priority outcomes: Academic Success, Healthy Lifestyles and Good Character & Citizenship. Positions are available for all age groups, K-12th graders. Facilitate fun and educational activities with kids, staying consistent with organizational goals and mission. Read lesson plans, lay out materials in advance, and perform other tasks to prepare for day-to-day program activities. Ensure that members are encouraged to participate in a variety of program areas/activities and receive instruction and constructive feedback to develop skills in program area(s). Maintain control of the group. Demonstrate leadership to ensure proper conduct, safety and development of members. Implement discipline procedures when needed in accordance with the organization’s discipline policy. Form positive relationships with youth. Mentor, coach, and encourage them to believe in themselves and their dreams. Ensure program areas are clean, safe, well ventilated and well lit. Make sure Club equipment is maintained in good working condition. Clean your area at the end of each day. Take accurate attendance for each activity. May oversee special programs and/or events (i.e. Keystone, Youth of the Year and Awards Programs), and/or participate in the implementation of other club activities as necessary. May be required to drive Club van or authorized automobile periodically. Must work with predetermined group partner and be able to work as a team player with all peers. 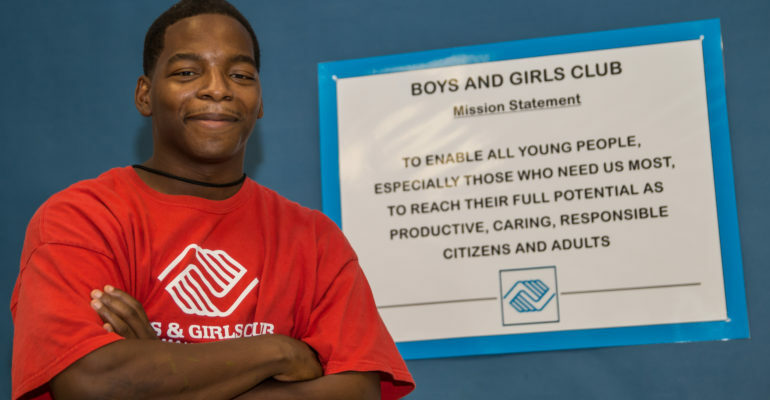 Experience in a Boys & Girls Club or similar organization planning and supervising activities with young people is preferred, but not a requirement of hire. Must be able to relate to young people and control a classroom, while also making sure activities are FUN for the youth. Teamwork skills, patience, and creativity are a must. Must be reliable and punctual—kids will be counting on you! Must show up on time and be ready to give them your full attention. Complete the employment application and email it to Pierre Covington, pcovington@bgcmaury.org, or drop it off in person between 8am-5pm M-F at 210 W. 8th Street, Columbia, TN 38401. Please include a copy of your resume. Hires are being made ASAP, so don’t delay if you are interested! Hello. My name is Ms. Johnnie Shapiro. I am retired from the State of TN. Department of Human Services. I am very interested in part-time employment with the Boys and Girls Club. I worked for DHS for 36 years with the majority spent in Child Care Services. Hello Johnnie! Thank you for your interest. Please visit our homepage for more information about our current job openings.